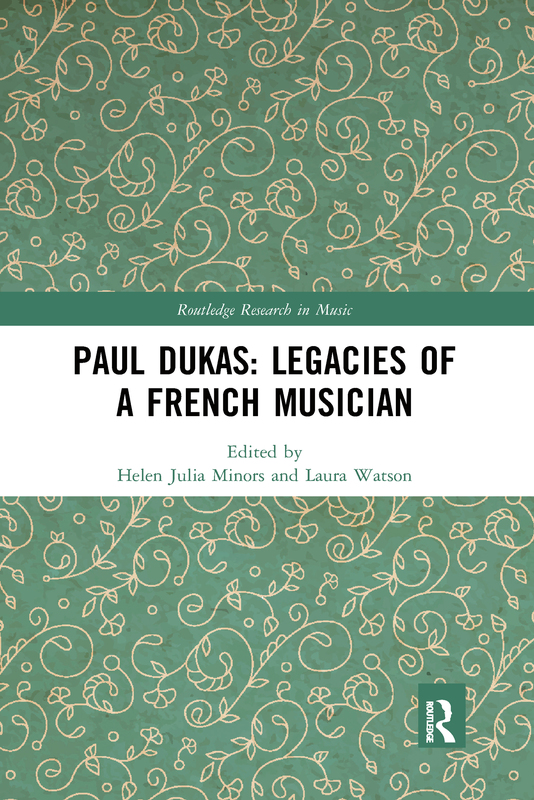 This book appraises the contribution of Paul Dukas (1865–1935) to a wide variety of French musical practices. As a composer, critic, artistic collaborator and teacher, Dukas was central to the fin de siècle and early twentieth-century Paris musical scene (and more broadly to the French scene). Significantly, his compositional style mediated tradition through the modern language of his present, while his critical writings pioneered a new mode of musical discourse in the French press. Of further interest are Dukas’s professional relationships with iconic figures such as Gabriel Fauré and Claude Debussy, and his role in fostering the next generation of French composers. In addition to mentoring famous names such as Olivier Messiaen and Tony Aubin, he staunchly supported his female students, notably Elsa Barraine, Claude Arrieu and Yvonne Desportes. This unique essay collection offers a panoramic perspective on a comparatively neglected French musician. Paul Dukas: Legacies of a French Musician traces two aspects of his work: Part I treats Dukas as a composer, thinker and artistic collaborator; Part II constructs his intellectual legacy as seen in his creative and pedagogic endeavours. This book is essential reading for anyone interested in fin de siècle and early twentieth-century French music, women in French music, music criticism and composition education in the Paris Conservatoire.